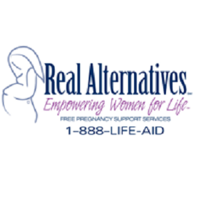 In 1996, Real Alternatives launched as a state-sponsored initiative to lower the abortion rate in Pennsylvania. While the organization initially provided services through a network of 72 centers across Pennsylvania, it has expanded significantly in that state and added dozens more in both Indiana and Michigan. Currently, Real Alternatives operates 136 centers, which help women with unplanned pregnancies explore options other than abortion and provide them with resources to protect their reproductive health. In addition, the organization provides education on abstinence and the modification of risky lifestyle behavior. Many women with unplanned pregnancies believe that abortion is their only option. Real Alternatives helps them to explore other paths that pose less risk to their bodies, from adopting to raising the child themselves. In addition, for women who have chosen to give birth, the organization assists them in pursuing educational opportunities and building careers while raising their child. The women are also eligible for free parenting classes and assistance in speaking with parents, doctors, and other individuals about their decision to keep their child. Since its inception, Real Alternatives has provided free parenting support and pregnancy services to more than 300,000 women. Counseling at the centers is always free and confidential. Furthermore, counselors have been trained to provide compassionate care that is accepting and encouraging. Real Alternatives earned the Seal of Excellence from the Pennsylvania Association of Nonprofit Organizations, which speaks to the ethical and accountable manner in which the organization operates.